Opened in January 1916 by the Garrick Cinema Co. Ltd., as a purpose-built cinema. The architect was H Campbell, who provided seating for 900. 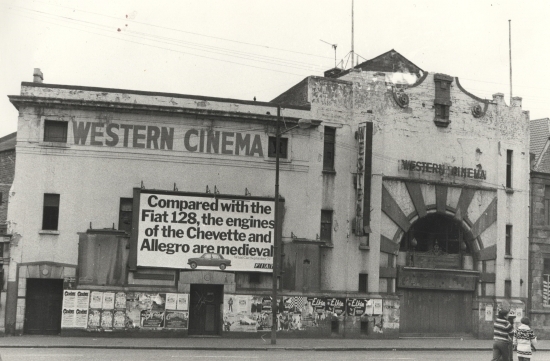 It was renamed the Western in 1919. Its popularity lead to it being extended in 1921, to designs by CJ McNair. Seating was then for 1,211. it closed in 1966 and was demolished in April 1979.